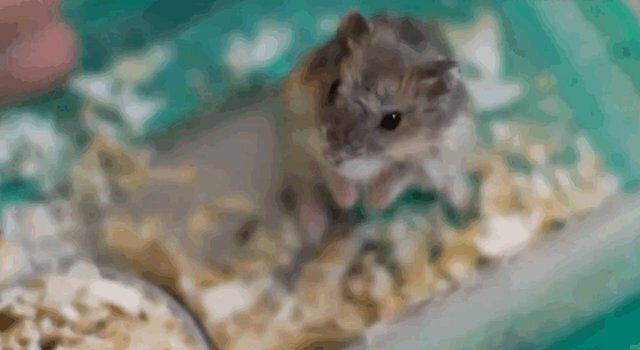 From the looks of it, you might say these hamsters are exhibiting some pretty Oscar-worthy acting skills, collapsing on command from an imaginary gunshot -- but faking death isn't so much of a performance as it is an instinct. Since it's no secret that virtually all predators prefer their meals alive and moving, a whole host of animals have evolved the curious habit of feigning death when cornered. This behavior, known as thanatosis, might seem like a pretty gutsy defense mechanism -- but the commonality of this instinct proves that it must actually be a fairly effective way to get hungry threats to change their mind. While, possums are perhaps the most notorious for putting on a lifeless air in response to the slightest sense of danger, this defense mechanism has been observed in insects, birds, reptiles and a variety of other "prey" mammals, including rodents. Some skittish pets, like hamsters, have retained this survival instinct to freeze up like a corpse, even when facing down the barrel of a "finger gun." In other words, the adorable little animals in the clip above are probably not happily playing along with their owners like furry little actors, they're more likely frightened by the sound of the "bang." http://www.youtube.com/watch?v=7nhll1UslDg And while it may be quite cute to watch, those in the know say that eliciting this behavior for fun is a bad idea. Not surprisingly, being scared too often can cause stress and anxiety-related diseases and even death -- one they won't be faking.